Articles tagged "Vocab at the Movies"
In Disney’s 1959 film Sleeping Beauty, Princess Aurora’s main nemesis is the evil Maleficent, whose imprecation is the impetus for the film’s plot. Maleficent, of course, is an adjective meaning evil, malicious, and a near-synonym of malevolent. Angry at having not been invited to baby Aurora’s christening, Maleficent curses Aurora — that is, places a malediction on her — to “prick her finger on the spindle of a spinning wheel and die” on her sixteenth birthday. Of course, it all works out fine when Aurora’s inamorato defeats Maleficent, with the help of some beneficent fairies. 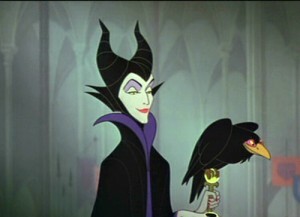 Maleficent’s pet raven is named Diablo. Diablo is the Spanish word for devil, and is of course related to the word diabolical. Jules: Oh, man, I will never forgive your *** for this ***. This is some *** repugnant ***. Jules: Get the *** out my face with that ***! The *** that said that *** never had to pick up itty-bitty pieces of skull on account of your dumb ***. Repugnant means distasteful or offensive. Having to pick up “itty-bitty pieces of skull” from the back of a car could also be described as revulsive, loathsome, odious, or noisome (noisome, interestingly, isn’t really about “noise”). Iniquity is wickedness; don’t confuse it with inequity, which is inequality or unfairness. 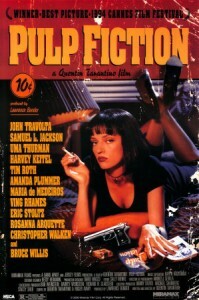 The film, starring Tom Hanks, is about organized crime during the Great Depression. It involves the attempted murder of a child witness to a crime — certainly an act likely to lead to perdition. 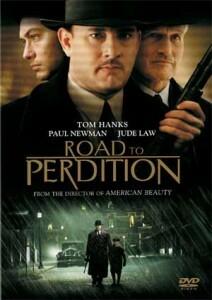 Some critics say Road to Perdition was one of the most overlooked movies of 2002. Perhaps this was because most people don’t know what perdition means? In the 21st century, information is the ultimate commodity. 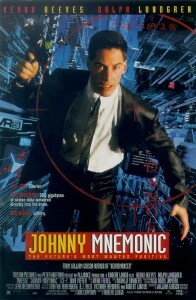 The most valuable of information is transported in mnemonic implants in the heads of professional mnemonic couriers like Johnny (Keanu Reeves) who offer both security and confidentiality for the right price … but the massive upload is too much for his brain and Johnny must find the secret codes to download the information – or die. Mnemonic means pertaining to the memory. A mnemonic device is often something like SOHCATOA (for remembering the sine, cosine, and tangent in trigonometry). Other GRE words relating to memory include reminisce and nostalgia. Other words related to learning are didactic and heuristic. While the Church was opposed to Galileo’s claim that the earth revolved around the sun, it did admit that the idea could be used as a heuristic to help guide ships — that is, the Church agreed that navigating as though the earth circled the sun would be useful, if not necessarily true. Early on in the scene, the Man in Black says, “Well, if there can be no arrangement, then we are at an impasse.” An impasse is a deadlock or a road, such as a cul-de-sac, that has no outlet. Man in Black: All right. Where is the poison? The battle of wits has begun. It ends when you decide and we both drink, and find out who is right… and who is dead. Vizzini: But it’s so simple. All I have to do is divine from what I know of you: are you the sort of man who would put the poison into his own goblet or his enemy’s? Now, a clever man would put the poison into his own goblet, because he would know that only a great fool would reach for what he was given. I am not a great fool, so I can clearly not choose the wine in front of you. But you must have known I was not a great fool, you would have counted on it, so I can clearly not choose the wine in front of me. Man in Black: You’ve made your decision then? Vizzini is demonstrating sophistry (or sophism), “a subtle, tricky, superficially plausible, but generally fallacious method of reasoning.” (Well, I suppose Vizzini’s errors aren’t so “subtle,” actually). You probably already know the word fallacy, a logical mistake, but a more unusual word for false reasoning is casuistry. Like sophistry, casuistry can also mean specious or deceptive reasoning, although its other meaning is “a case-based approach to ethics” — for instance, arguing that stealing could be acceptable if its purpose is to feed one’s starving children. Just as sophistry was given a negative connotation by its opponents, casuistry got its “bad” meaning from those prefer a more principle-based approach to ethics. The argument, “If you’re hungry, broccoli is better than nothing; nothing is better than a juicy hamburger; therefore, broccoli is better than a juicy hamburger” is pure casuistry. Its apparent syllogistic format obscures the fact that the argument uses the word “nothing” in two very different ways — a common trick of sophists. 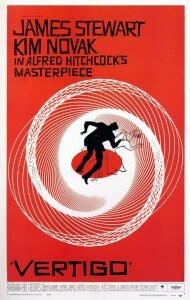 Today’s film selection is a classic: Alfred Hitchcock’s Vertigo. Despite being a popular name for nightclubs, vertigo is a horrible medical condition characterized by a feeling of spinning (a feeling so violent it can often lead to vomiting and incapacitation). Thus: a terrible name for a nightclub, but a pretty good name for a horror movie. The fiftieth-floor apartment was a great deal, but she couldn’t take the vertiginous heights. Successful traders are those who can control their emotions even in a vertiginous financial environment. The story was based on a 1927 crime perpetrated by a married Queens woman and her lover. Ruth Snyder persuaded her boyfriend, Judd Gray, to kill her husband Albert after having her spouse take out a big insurance policy”with a double-indemnity clause. The murderers were quickly identified and arrested. 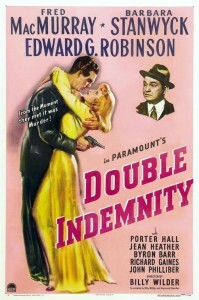 The term double indemnity refers to a clause in certain life insurance policies where the insuring company agrees to pay twice the standard amount in cases of accidental death. Benicio’s recent securities acquisition more than doubled his portfolio; his boss liked to say that, while his portfolio accrued value, Benicio himself was also accruing acclaim. If the bank has a lien against your house, your mortgage agreement may require you to indemnify the property against damage. While virtually all accounting is now done on computers, accountants can still go to jail for falsifying ledgers, especially to cover up their own or executives’ sybaritic lifestyles, as funded by stockholders: no one adds your company’s stock to his portfolio in order to pay for your massage-and-bourbon habit. 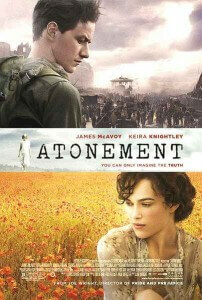 The 2007 film Atonement, starring Keira Knightley, is the doleful story of a woman attempting to right a wrong she committed as a thirteen year old in 1935 — a wrong that ruins the lives of her older sister and her lover. A person who atones for a wrong is contrite. You could also say that a person who does penance or makes recompense for his wrongs is redeemed, or that he is absolved of his peccancy. While it’s true she was still angry at him, she wanted to emphasize that she canceled his plane ticket only for financial reasons — that is, she did it wholly unpenally. 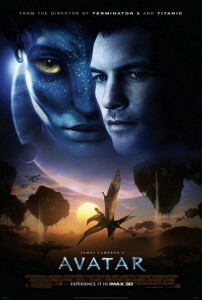 When the film Avatar came out, many online dictionaries reported that avatar was one of the most frequently looked up words for the month. Other words you can use in a similar way include apotheosis, archetype, epitome, exemplar, and quintessence. The coq au vin is the epitome of French cuisine. Torture is the quintessence of evil. Jason Statham is an exemplar of action heroes. Her role in the play wasn’t well-developed; the character was simply an earth-mother archetype who served as a foil to the crafty — and more modernized — leading role. Avatar is one of those words everyone thinks he knows — until you ask him for a definition. You are now one of the few people who knows how to use the word when you’re not on Pandora!